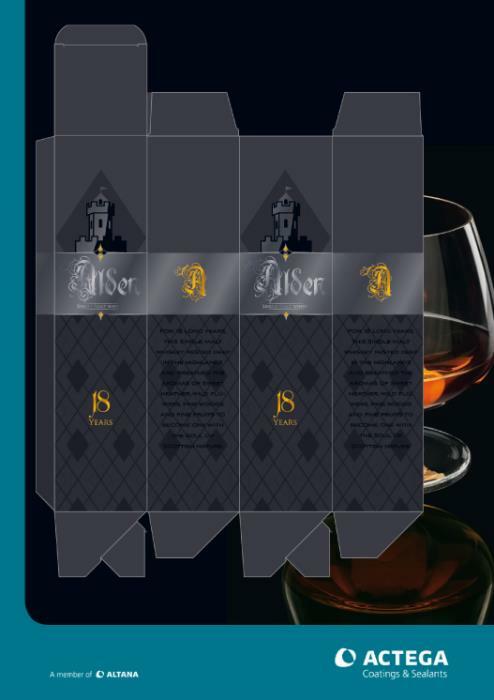 In this spirit packaging, see how UV-based silver coating (Mirafoil) is used in conjunction with UV-based matt and gloss with embossing effect for outstanding shelf appeal. Closures are essential to seal a great variety of containers. Thus, they enable the optimum protection of food and beverages throughout their shelf life. Whether you are looking for compounds, coatings or sealants, ACTEGA offers solutions for aluminum and plastic closures, metal vacuum closures, crown corks or lug caps. With the focus on innovative and high quality products, technical support and services, ACTEGA provides a broad variety of solutions for digital printing. Whether you are dealing with publication & commercial, labels or packaging, a dedicated team is available including experts from R&D, technical services and product consultation. Flexible packaging provides a simple and adaptable answer to the portioning and preservation of filling goods. 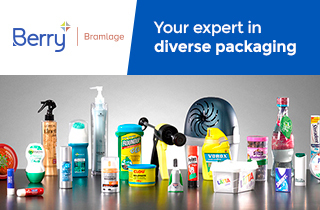 There is an extensive range of flexible packaging types made of paper, plastic materials or aluminum. Whether talking about pouches or liddings - by offering tailored inks, coatings and adhesives, ACTEGA is an international leader in the flexible packaging market. ACTEGA offers various coating combinations, including foodsafe water-based coatings ideal for enhancing the finished look of dried food or confectionary packaging. Labels say a great deal about the product and the company they identify. They carry information and differentiate the brand. Thus, it is important that all label components are of the highest quality - from the inks used to the protective and value added finishes. ACTEGA offers product solutions for the various label types, including glue applied, pressure sensitive or in-mold labels. Paper-based packaging protects the filling material and fulfils a transport function. Whether coatings or adhesives, ACTEGA offers solutions for folded boxes, carton blister boxes and paper-based trays as well as for composite containers, board tubes and many other paper-based packaging products. ACTEGA offers coatings, adhesives, sealants and inks for Metal Packaging with a focus on Food and Beverage. We are specialized in pigmented product solutions as well as in products for direct food contact (FDA approval). Especially when it comes to a combination of those two requirements, ACTEGA should be your first contact. In this Premium Coffee, see how TerraCross soft touch matt meets UV-based gloss and hotfoil application for an exceptional finished look. ACTEGA's pearlescent coatings enrich printing and food packaging products with an elegant and high value surface. Depending on the color, the pigment size and type of pigment (e.g. color changing), various effects can be achieved. ACTEGA offers water-based and UV-based pearlescent coatings.